It might not be horror by the book, but “Kumiko: The Treasure Hunter” definitely evokes a sense of dread and unease with its stunningly ambitious, morbidly transfixing cinematography, atmospheric, nerve-shredding score and potent hilarity rooted in heart-wrenching tragedy. Loosely based upon a snippet of Takako Konishi’s life-story, a run-of-the-mill office worker who journeyed to the United States, more specifically the city of Fargo, and ended in a field near the Detroit Lakes with her much debated suicide. “Kumiko: The Treasure Hunter” is a breath of brisk, unfiltered, decidedly hefty air and was well-deserving of a nomination for the Grand Jury Prize at this past year’s Sundance Film Festival. Previous to the definitive discovery of Konishi’s depression and documented intent on taking her own life, miscommunication between Konishi and a Bismarck police officer, with whom she had been conversing, led to the spawning of an urban legend regarding the motivation of Konishi’s trip to America. The fable states that Konishi had travelled to Minneapolis in search of the fictitious fortune of Carl Showalter, Steve Buscemi’s character in the Coen brothers masterpiece “Fargo.” The film depicts Showalter burying a case filled with money in a field somewhere in the aforementioned city, similar to the one Konishi was found. The media fanned the flames and it wasn’t long before Konishi and the mysterious circumstances leading up to her death reached unprecedented cult-status. With depression, loneliness, and a lack of identity driving her further from the clutches of any redemptive lifeline, Konishi’s story is one of deep sadness and struggle. A battle all too many can relate to nowadays. Yet, with such morose, Ill-fated source material, one cannot commend director and co-writer David Zellner enough for the divisive and debatably up-lifting end result, by and large. Zellner has truly created one of the most immersive experiences, both visually and viscerally, in recent memory. Mixing brief moments of such euphoria and promise with long, melancholic sequences of silence set against a wintery prairie or a thick, heavily-dusted forest. Zellner whole-heartedly comprehends the complexity of his muse and executes with the utmost respect, deriving the disheartening beauty and helplessness originating from Konishi’s turbulent final days. That said, a strong case can be made that Zellner’s greatest accomplishment with “Kumiko: The Treasure Hunter” is despite the film’s rather macabre content, it eloquently and ultimately depicts the unyielding, boundless power of cinema in a positive light. Zellner’s subtlety and maliciously sweet approach to such a bizarre and definitively dark tale that is, to some degree about the negative, specifically one of the more rare downsides of cinema, despite it not having any control in the matter, excellently and truthfully portrays cinema’s ability to overcome any mishap or catastrophe and speaks volumes to the sheer strength and hallow nature of film as an art form. 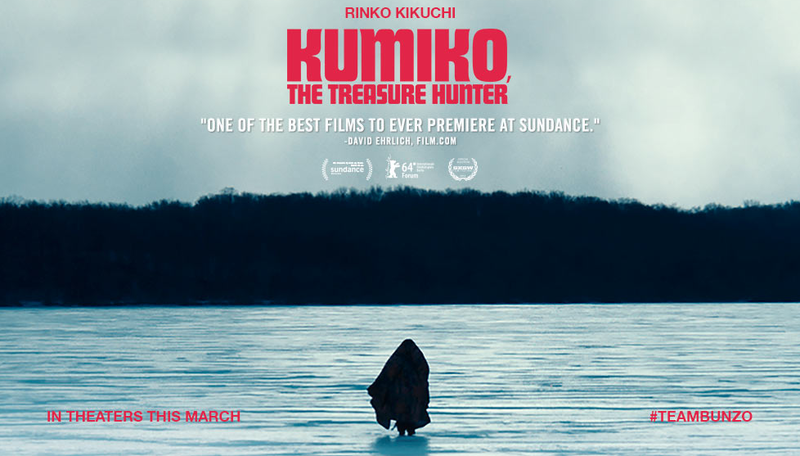 Zellner and crew aren’t the only ones operating at the top of their game with “Kumiko: The Treasure Hunter.” In the title role, Rinko Kikuchi is at her very best. Whether she’s uttering no more than a few words in broken English, starring off into a vicious whiteout, or bearing the insufferable hospitality of her newly-found, unwanted acquaintances, Kikuchi has full command of the screen and the audience’s heartstrings. I cannot praise Kikuchi’s performance enough, it’s difficult to describe what her fully-invested honesty and child-like innocence translates to on the screen. It’s magic, pure and simple. Easily the best performance she’s given in her career to date. Oh and David Zellner, who pulls triple duty also grabbing a supporting role, is equal to the task and much, much more. The film wouldn’t be the same without his kind-hearted, empathetically-driven moral compass. Mystical, incredibly transcendent, and unlike anything you’ve ever seen before, “Kumiko: The Treasure Hunter” is, without question, 2015s best film thus far and will be near-impossible to knock from that pedestal in the near future. Long live Bunzo! Kumiko: The Treasure Hunter: 9 out of 10. I’ve seen a fair amount of messed up flicks in my day, and at their most unrestrained and ruthless, I’ve been forced to wash my eyes and brain for a good long while just to rid myself of the imagery. You know, the deformed bodies, a woman being skinned alive, inhumane harm to children and pregnant women, all of it, and what I’ve listed isn’t even the half of it. 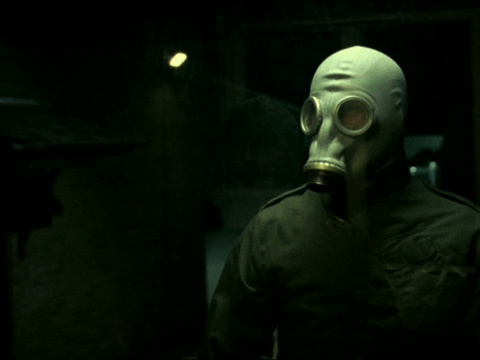 So, as a fan of this material, a few friends and fellow site-runners urged me for quite some time to watch “Dead Man’s Shoes.” A film I’ve heard in passing that supposedly is extremely difficult to watch, while remaining fairly potent and eerily memorable. Sounds like it’s right up my alley, don’t you think? Yet for some reason, I never, ever got around to watching it. So, I continued along with my life as usual, until The Cinematic Katzenjammer‘s Secret Santa Swap popped up again and I, of course, signed up for a second helping. And wouldn’t you know it, “Dead Man’s Shoes” was the film selected for me! What did I think of it, you ask? Well, it’s certainly not an easy flick to sit through, that’s for sure, but for significantly different reasons then the aforementioned brutality. 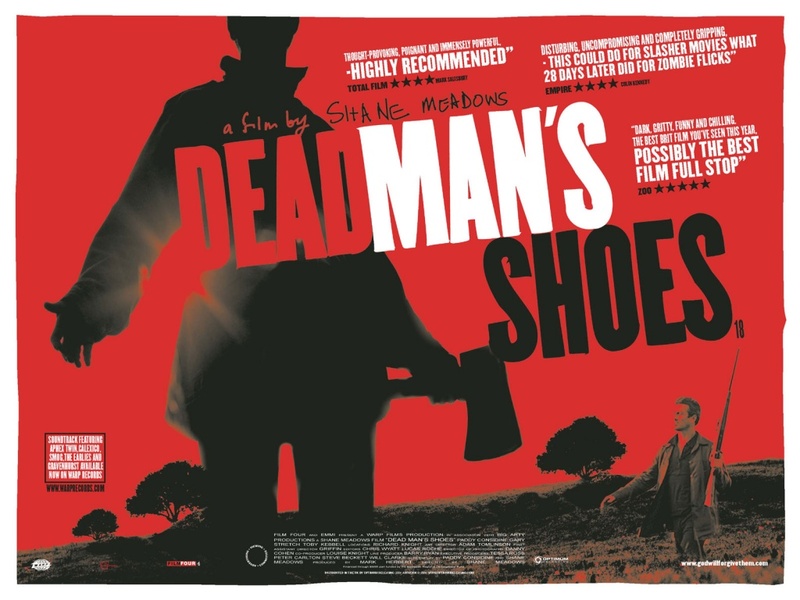 “Dead Man’s Shoes” follows Richard (Considine) and his mentally impaired brother Anthony (Kebbell) as they move around the countryside, taking refuge in abandoned farms and places of this nature. Richard, a respectable war-vet, has returned to his hometown after completing his service. 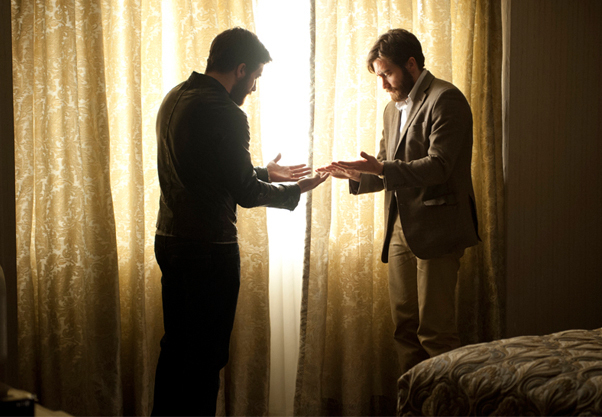 Through a series of flashbacks, the reason for Richard’s return is revealed. His brother Anthony, had been continuously abused, taken advantage of, and forced to perform unspeakable acts of inhumanity by a group of drug-dealers, who were supposedly his friends. Richard has vowed to take revenge against anyone who has caused his brother any harm, using any means necessary. The assailants arm themselves to defend against Richard’s onslaught, and soon a war of wits and ferocity unfolds. 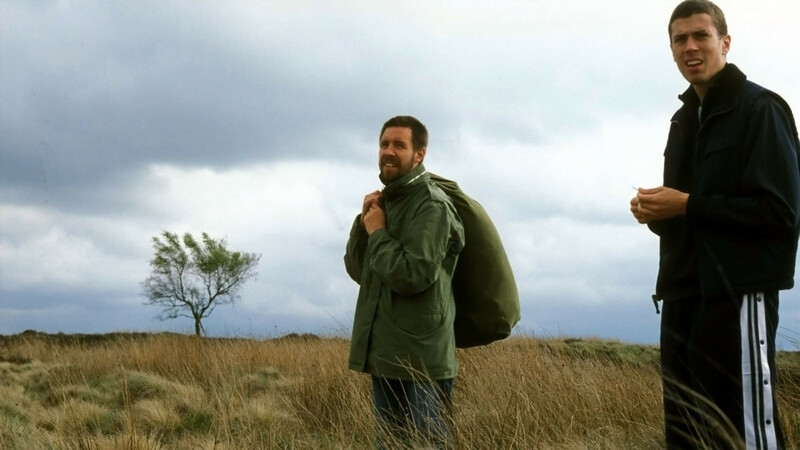 I mentioned briefly that “Dead Man’s Shoes” is an uncomfortable film to undertake, and I stand by that statement. That being said, the limits differ greatly than those of pure violence and brutality. What makes this film so cringe-inducing is its disconcerting nature. From the moment it begins, there’s this overwhelming feeling that something bad has happened, a constant calm before the storm. As this hums persistently in the background, the despicable actions of those with no morals, compassion, and humanity slowly unveils itself. The crud, this dirt crawls in between ever crack on your skin and under your nails and is hard to dismiss. Then there’s this gloomy atmosphere that’s impossible to shake that overhangs the entirety of this film. 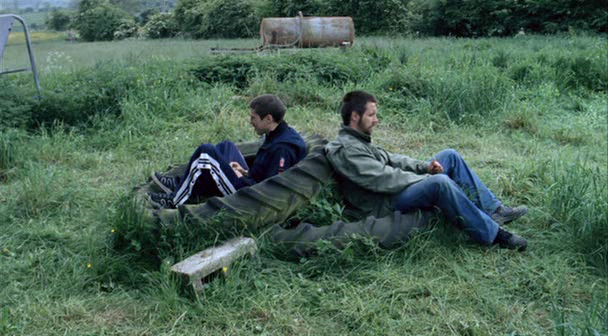 This is due in large part to director Shane Meadows wonderful use of the serene, shady countryside, troubling skies, and contrasting characters that are at one moment merciless, then endearing. As impressive as the effect created and reactions provoked by this film and it’s makers on such an ultra-low budget is, the real stunner is the performances. “Dead Man’s Shoes” features the tragically underused and under appreciated Paddy Considine in the lead role and a remarkable turn by Toby Kebbell as Anthony. Everything Considine does is authentic, scarily genuine. The camerawork is always panning his eyes and for good reason. 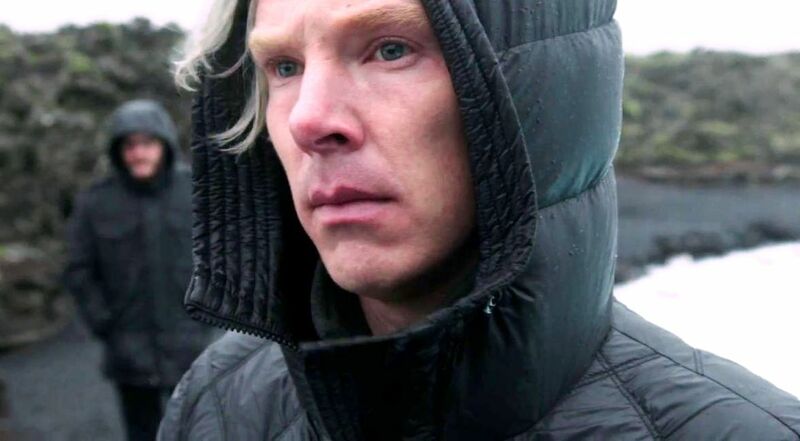 When you gaze into his, everything his character feels is transferred through his simple squints, tears, and deathly cold stares. As for Kebbell, his portrayal is anything but textbook. I’m not really sure how to word this. Kebbell acting as a mentally handicapped, sweet, real, compassionate being is one of the most sublime I’ve ever witnessed. 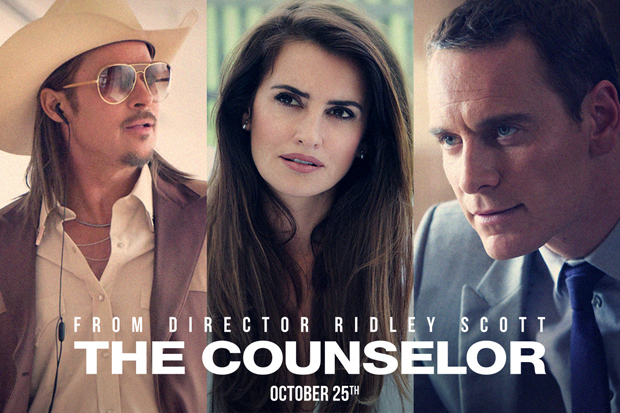 You’ll be hard-pressed to find a more uncanny, driven portrayal. The impression left and mindset gained from “Dead Man’s Shoes” are permanent and irreplaceable. The performances are something to marvel and the premise is unique and something that has never been this effectively used previously, at least to my knowledge. All this being said, the story is quite predictable, for me anyway, and the visuals, camerawork a little shaky from time to time. However, these flaws are minuscule when compared to the grand scale of the film. 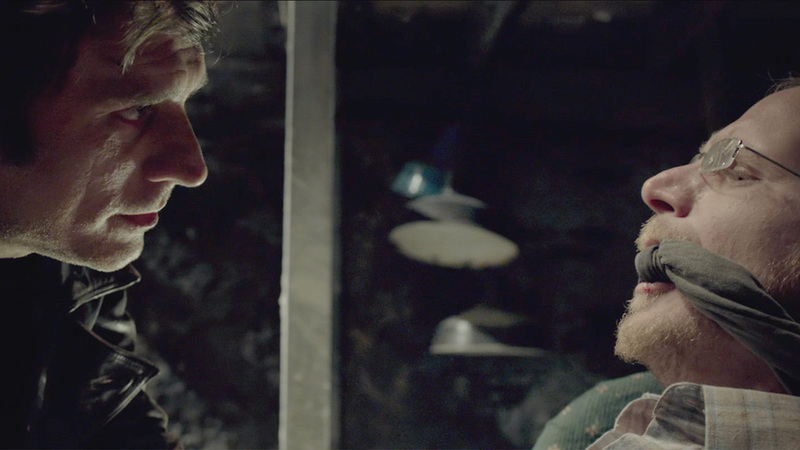 Dead Man’s Shoes: 7.5 out of 10. Very rarely do I claim a film to be brilliant, even rarer is said “brilliant” film found in the horror genre, yet stranger things have happened…I mean, every now and again we all need a little extraordinary, right? Now, with that in mind, I’m sad to report that “Open Grave” is not one of these rarities…wait, wait, stay with me here. That being said, it wasn’t a large drop-off, in fact, the film did brush brilliance with its fingertips. Granted, those instances are few and far between, nevertheless, those sparse moments of contact are remarkable. Conversely though, it’s these precise segments of success that alert the audience to the slightly above mediocre scenes in between and the dizzying heights the film should have achieved. 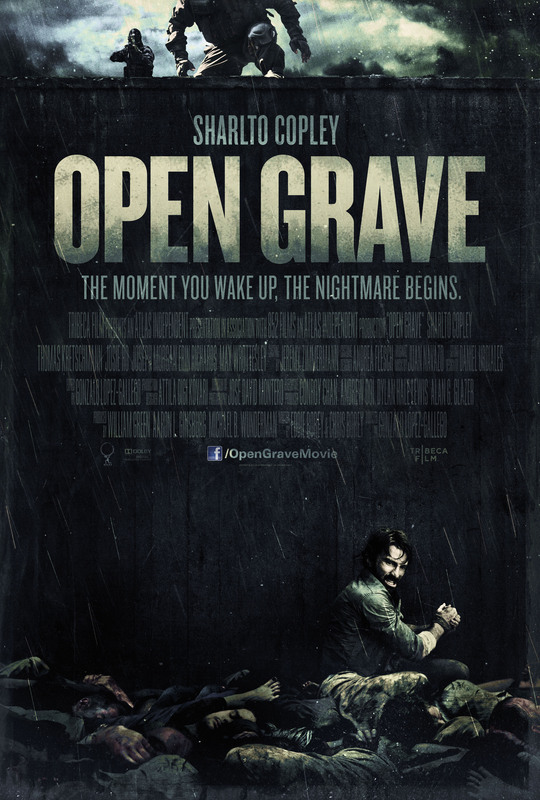 There’s no question that “Open Grave” is a step-above the genre’s usually contrived efforts, it’s just not canon material, more minor cult-hit. It’ll appease enthusiasts, like myself, enough for the first watch, but won’t last too long afterwords I’m afraid. We join a man, awakening in a mass grave, stiff, dehydrated, and completely vacant of any past recollections, even his own name. 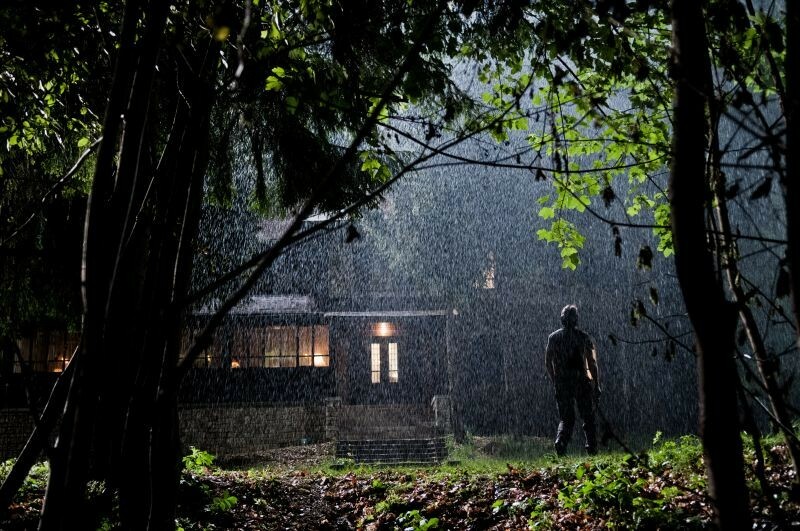 After being helped out of the pit by a woman whom he does not recognize, the man stumbles upon a house filled with other survivors who also don’t remember a thing. It’s not long before the group is at each others throats as they all try to get a hold of who they are, where they are, and whom amongst them brought this chaos upon them. Writers Eddie and Chris Borey aren’t entirely at fault, they share the blame with director Gonzalo Lopez-Gallego, at least in my opinion anyway. Again, it’s not the story that falters per se, it’s more the length and layout. I mean, there could have been so much more added to explain and broaden the experience. In all fairness, aside from it jumping around too often, there isn’t much wrong with the placement and performance. It’s simply the bouncing from scene to scene that’s just too disconcerting to overcome, in my opinion at least. Now, apart from this grievous error however, the direction is fairly solid. The gloomy, tense, overwhelming atmosphere is engulfing and the sense of cluelessness is heart-wrenchingly abundant. The visuals aren’t as strong as they needed to be for a film with this kind of premise and outcome, but they get the job done. The score is sufficient, much like the rest of “Open Grave’s” facets, it serves its purpose and not much else. 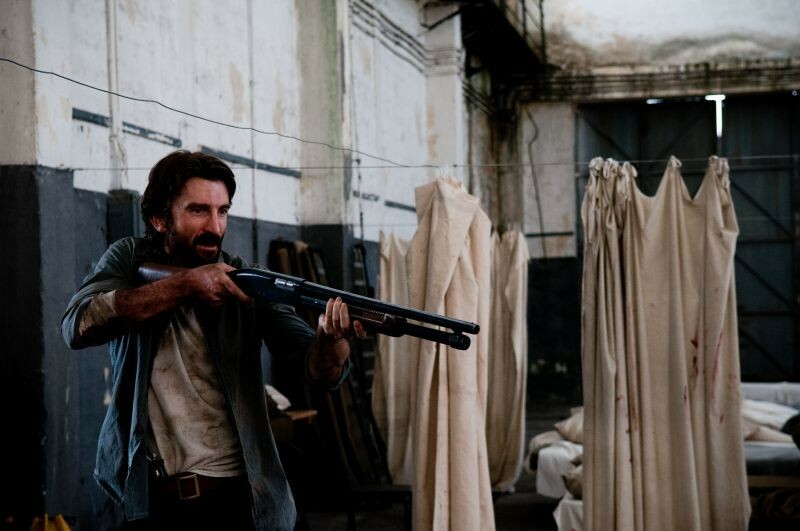 Had the film been deprived of its star Sharlto Copley, it’s a safe bet that I would never have given it a second glance. Nonetheless, “Open Grave” found itself the visceral, invested, significantly talented up-and-comer it desired and locked him in, effectively sinking its hooks into my watch-list, as I’m sure it did to countless others. The film also features performances from the illustrious Thomas Kretschmann and Erin Richards. Copley once again dives head first into his role and the audience reaps the benefits. Copley somehow manages to turn his character into this two-sided being who is truly capable of anything, good or evil, which is beyond frightening. It’s quite masterful actually how he channels the motivations and emotions from one of his characters possible paths and then turns right around and utilizes it for the other half’s benefit. Look, I’m probably a little bias and we’d be here all day if I continue singling out every single thing Copley does amazingly. His performance really put the film over-theatop, well, at least enough so that it trickles down the side of cup, so to speak. Kretschmann continues to do what he does best, which is being one of the best and most recognized character actor’s alive today. Apart from Copley and Kretschmann, the acting left a lot to be desired and that just can’t happen, especially in a film that’s so ensemble-driven. Open Grave: 8 out of 10. When a slew of young girls are discovered murdered, amongst other unspeakable acts, a rogue detective, a grieving parent seeking revenge, and the top suspect are sent careening toward one another. When their paths meet, the events their intersection sets in motion are unbelievably intense, smart, violent, and most surprising of all, hilarious. 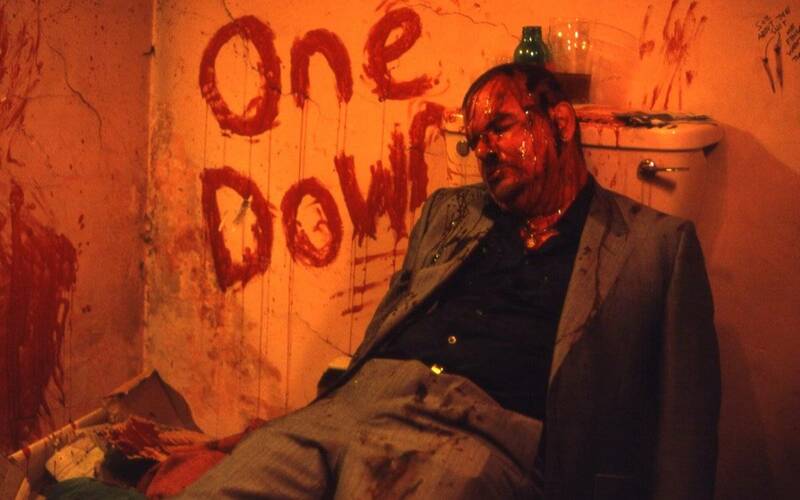 This is “Big Bad Wolves.” The film that revolves around a chair in a room. But don’t let the simplicity of the setting mislead you. One minute you’re watching the unfolding of a severe plunge into the human psyche, the next you’re realizing that it’s you who has been tortured and dissected for the past two hours. By no means is this a negative thing, never will you experience a thrill-ride as immersive and thorough as this. Delving into our social evolution and its parameters, the strengths and weaknesses of our morals, and the terrifying, infinite probabilities one will enact and undergo for a loved one. 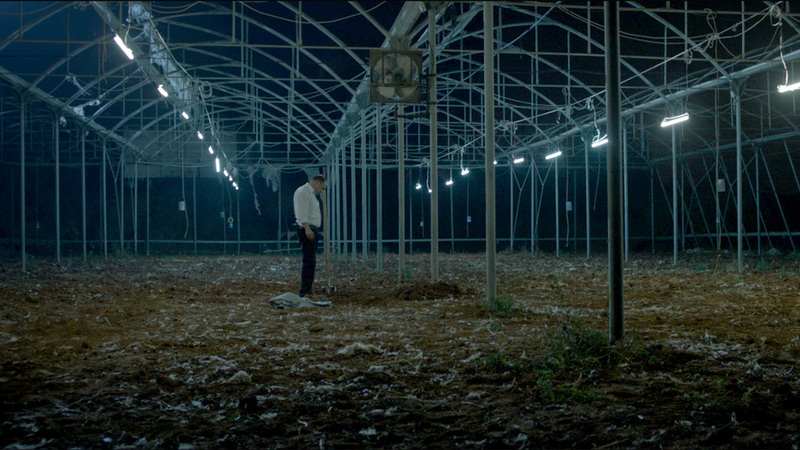 “Big Bad Wolves,” all in all, is a prime example of a film that tests you both mentally and physically. Now, you might be thinking that there is nothing funny about innocent little girls being sexually assaulted, tortured, and murdered. Next, you might be pondering what kind of sick psychopath would find comedy in this, let alone interesting enough to make an entire film on the subject. The answer to that last question is Aharon Keshales and Navot Papushado, but that’s besides the point. This might lead you to combine both thoughts leaving you, more than likely, prompted to say “well…I never!” While I can’t blame you for this reaction, because I would have responded in the same manner had I just been provided with this information, I can take responsibility for it. I might have mislead you earlier. See, “Big Bad Wolves” doesn’t so much poke fun at pedophillia, it just simply uses it as a common base for the characters to cohere around. It’s merely meant to draw the characters together and motivate them. The hilarity stems from it, you know, it’s employed around it, it’s not the subject of the laughs. So by no means rant and rave about this film or its creators negatively. What you should be doing is praising Aharon and Navot for their impressive talent to use comedy in such a deplorable situation tastefully. If I’m to be honest with you, I’m finding it really difficult to review this film. Not because it was awful or it’s themes despicable. I mean, when Quentin Tarantino says that it’s the best film of the year, what else can one say? How can I argue the truth? What weight does my word have against that of the great, illustrious Quentin Tarantino? None, that’s how much! 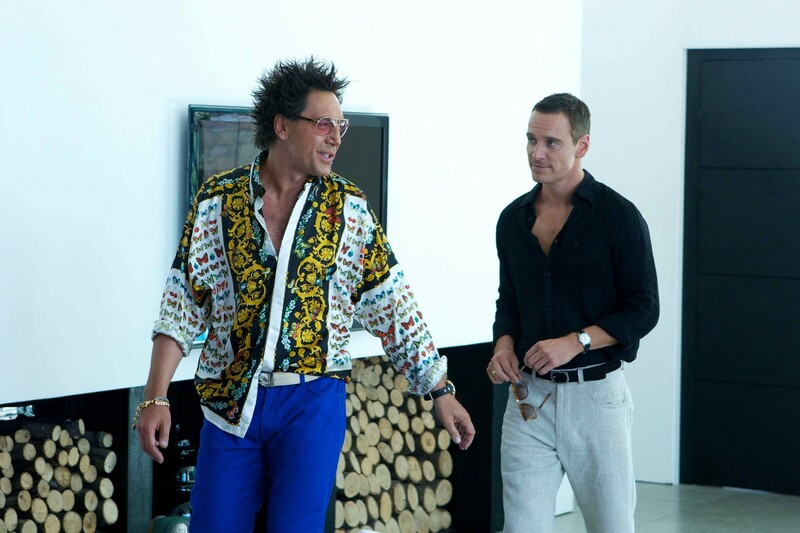 Of course, as it is with every flick ever released, “Big Bad Wolves” will undoubtedly not be to everyone’s preference. 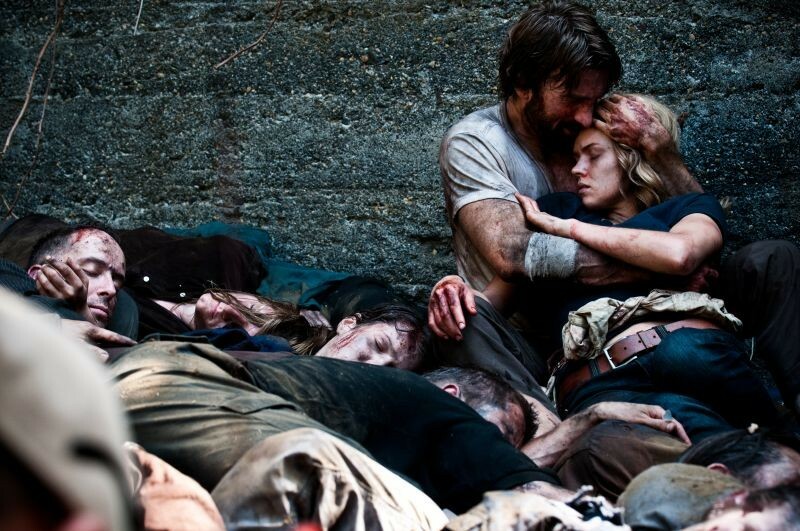 It’s a very provocative, controversial film dealing with delicate, deplorable topics. That being said, if you’re a cinephile, I implore you not to pass up the chance to see this flick. Everything about its execution and structure is beyond phenomenal. 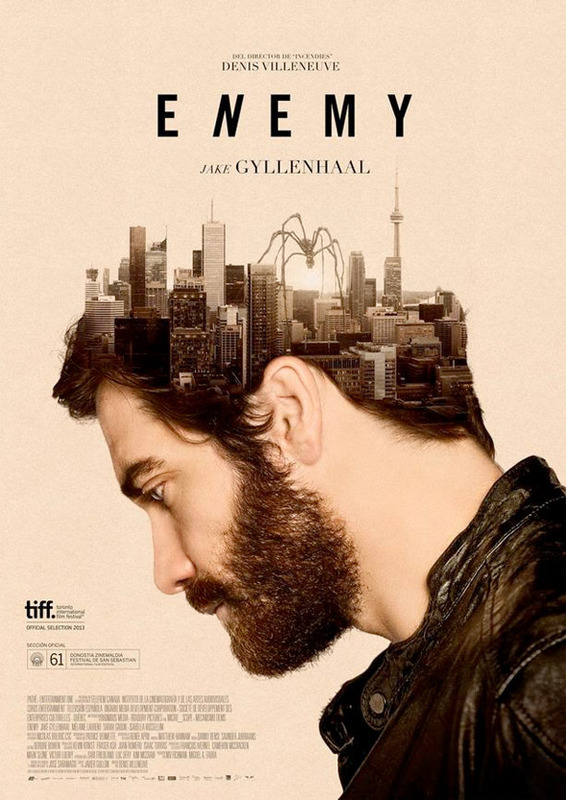 The acting is quite possibly the strongest I’ve seen so far this year by an ensemble, the story is captivating and horrifying, yet you can’t look away, and the visuals strike as subtly atmospheric, but at times disgusting and disturbing, so it’s quite the contrast to experience. If you’re familiar with Aharon Keshales and Navot Papushado, you’re probably familiar with their debut feature “Rabies.” If you haven’t seen it, I highly recommend you check it out. They’ve come a long way, all the way from Israel as a matter of fact, to bring you one of the most inventive, thought-provoking films of the year. So put away any displeasure you might have of viewing a film that’s subtitled and brace yourselves for the onslaught. Keshales and Papushado’s camerawork is absolutely sublime and if there was ever any question regarding their storytelling abilities, they’ve definitely put those criticisms underground. 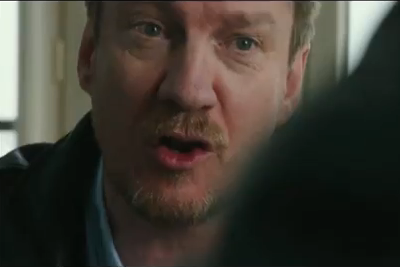 “Rabies” hit some viewers as slightly jumbled and incoherent. So what does this diabolical duo do to silence their critics? They revive one of the oldest forms of storytelling, the fairy tale, with a dark, sociopathic, ingenious twist. “Big Bad Wolves” doesn’t pull any punches or flinch away from the ugly bits, which is either a good thing or a bad thing, depending on your tolerance level. I apologize, I just couldn’t leave without giving you the details on “Big Bad Wolves” outstanding ensemble. 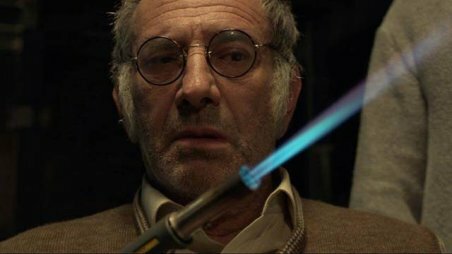 The film stars Lior Ashkenazi (who you might recognize from “Rabies”) as rogue detective Miki, Tzahi Grad as Gidi, the vengeful father of the latest victim, and Rotem Keinan as Dror, the unfortunate recipient of Gidi and Miki’s uncontrollable rage. 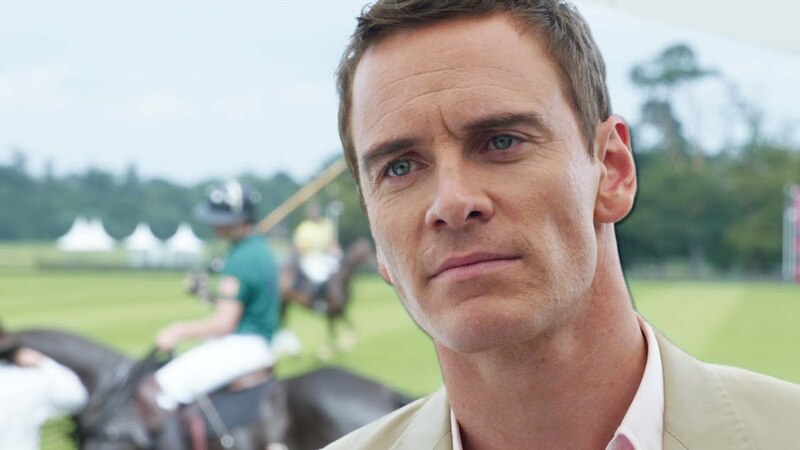 Usually I’d tell you which actor outperformed the others and so on, but not this time. As I said previously, this is without question one of the best collective efforts I’ve seen so far this year. The earnestness, confusion, and helplessness each character exudes at the hands of this depressing motivation oozes with authenticity. 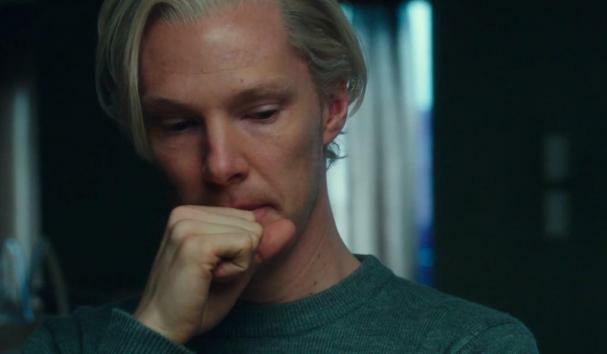 The believability in each glance, each movement is astounding, as if each portrayer has transcended their role to become entangled in this saddening circumstance. They don’t know why their humanity has fleeted them so quickly, but their soldier on nonetheless. Truly superlative work from the entire cast. 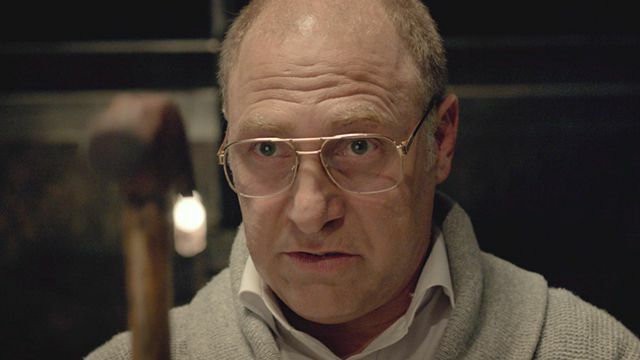 Funny, violent, and honest, “Big Bad Wolves” is as original, entrancing, and creative as they come. 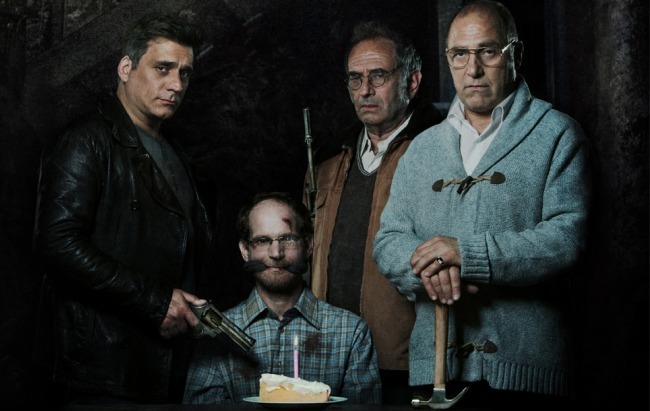 Big Bad Wolves: 9 out of 10. Despite all the hoopla and urging from friends and fellow critics, I swore I wouldn’t be caught dead watching “Sharknado.” Then, one night during shark week, my family decided on watching this very flick and I was forced to go along. And while the film offered little to no positives, I did gain more evidence to always trust my gut as “Sharknado” is easily one of the worst films I’ve ever seen. I won’t be wasting much time on this write-up, because it simply isn’t worth the effort. I just want to discourage anyone from watching this pile of flaming garbage. 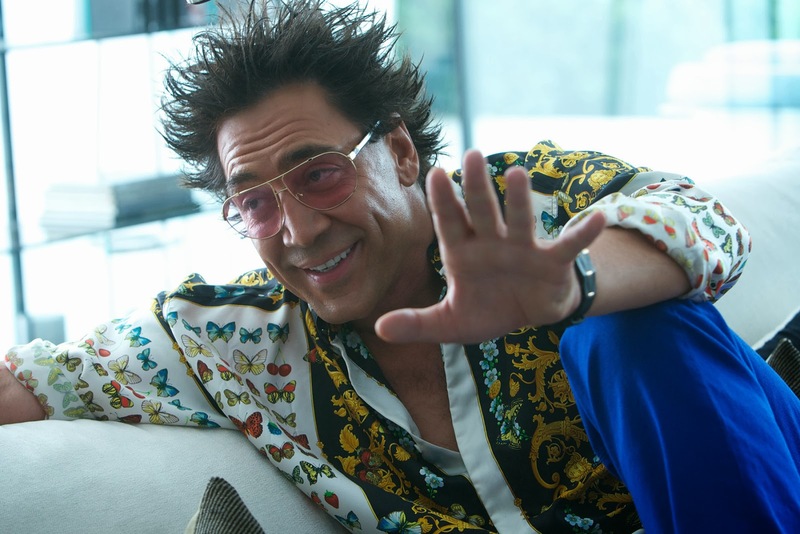 In cinema there’s this saying, “so bad it’s good,” which typically only applies to intentionally god-awful films. Well, if you’re one of those people who don’t fully appreciate this premise, you’re in luck. This turn a phrase has no bearing here seeing as “Sharknado” is downright atrocious and will never be associated with the mildly flattering word “good.” Although this simple, four-lettered word has become so tragically overused that it has essentially lost all meaning, the remnants of its definition are still too favourable to be linked in any way to a film like this. It is nothing more than the recipient of diluted hype created by an endless stream of social-networking platforms. It’s the fortunate beneficiary of residual favour that comes to anything carrying a spliced title of two things the human race can’t get enough of…that being sharks and tornadoes, more specifically destruction. 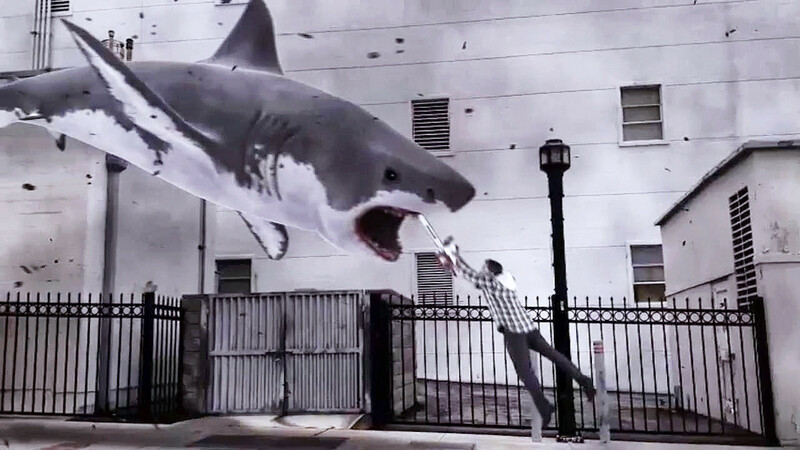 “Sharknado” is a horrible way to kill two hours and will leave you clamouring for a death at the hands of these airborne, poorly animated, and inaccurately portrayed monsters of the deep. 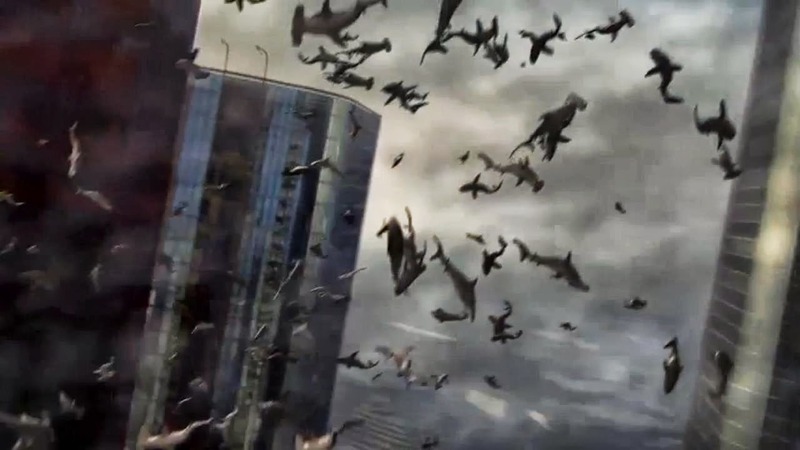 A freak hurricane stikes Los Angeles, causing man-eating sharks to be picked up in water spouts and dropped upon shocked citizens. A local bar owner and a couple of his friends head to higher ground and to rescue their loved ones. Little do they realize that the hurricane has caused severe flooding and forced the sharks into common neighbourhoods. I understand the idea of a mockbuster and I enjoy brainless, fun for the sake of fun flicks just as much as the next. Nonetheless, “Sharknado” is just awful. I don’t care how low-budget, satirical, or intentional it is. 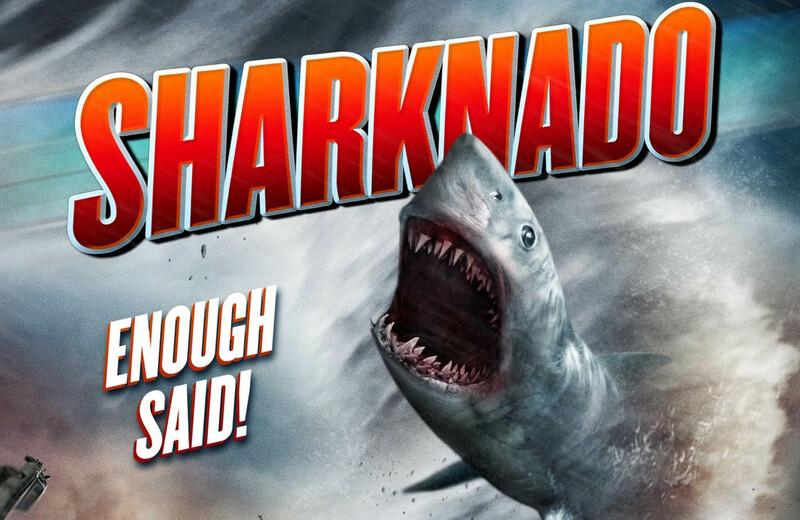 In all honesty, is “Sharknado” serious? I can move past idiotic premises and plot holes, but inconsistency and illogicality is unacceptable. Every aspect of the settings is laughable, changing from stormy, sunny, to apocalyptic in a matter of seconds. Let alone the several different bodies of water used to concoct a singular ocean. One minute the audience is staring at calm seas, then subjected to tsunami sized waves without any indication or reason. To make matters worse, the CGI is as blatantly inauthentic as the sharks. Which, for the record, are poorly animated and are apparently a lot more savage and smaller than scientifically proven. Now, to sum up the abysmal, idiotically amateur performances which look and feel a lot like an unwanted gag reflex or a stinging sunburn. This unwanted eyesore features performances from Tara Reid, Ian Ziering, and Cassie Scerbo, amongst others, not that it really matters. All in all, there is nothing here of merit and essentially, nothing you’ve never seen before. Predictably, when you hire actors of this caliber, you get what you pay for. As for the camera work, I’m sure you all can guess. Directed by Anthony C. Ferrante, whom I might add does his best to aid this sinking ship, yet sadly winds up being weighed down, does his best with what he is given. That being said, his lack of experience really starts to show and ultimately, the weakness of his material makes his bright spots seem all the more dim. It appears that no matter how hard I wish “Sharknado” didn’t exist and that I hadn’t witnessed it, this filth just won’t seem to die. 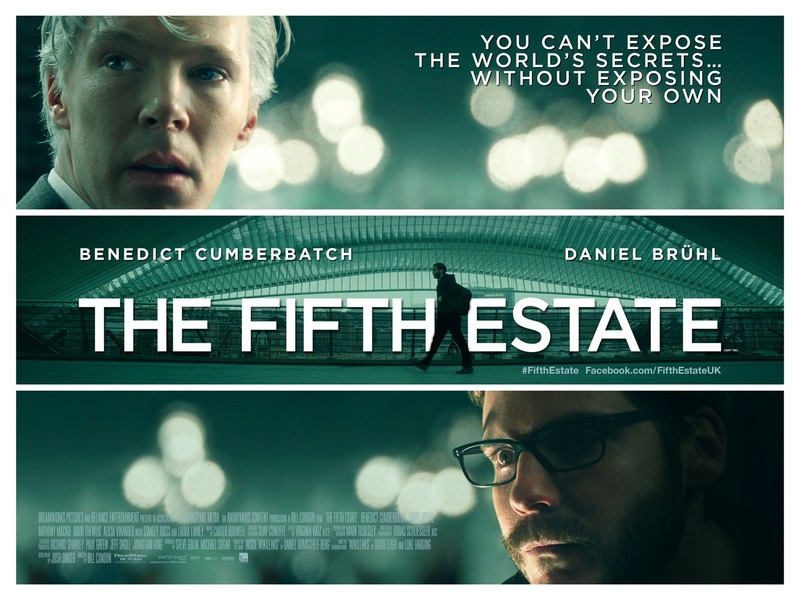 That being said, everyone needs a film to write about for Shitfest…so, here you are. Aren’t you lucky, you’ve subscribed to The Cinema Monster and you are knocked over the head with this drivel. Sorry I had to subject you to this…I will do my best to never watch something like this again. Sharknado: 0 out of 10. 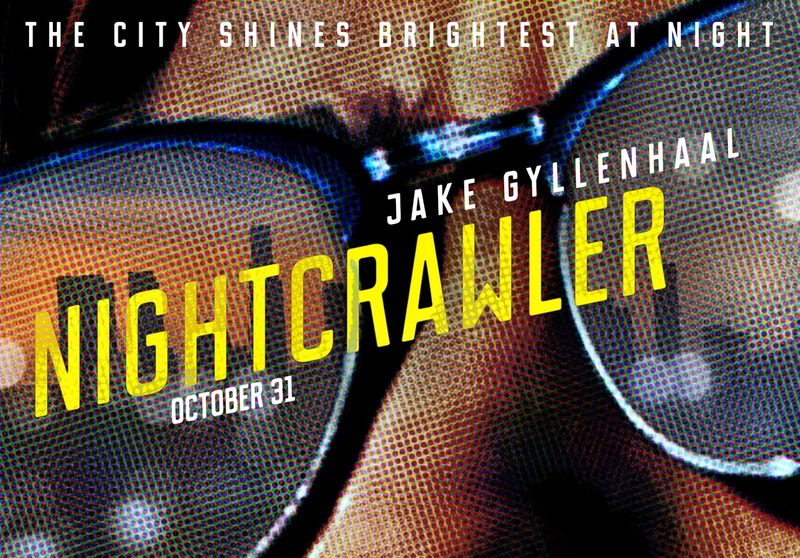 This constantly scathing and scornful neo-noir about a man living in perpetual sadness is teeming with complexity, brilliance, and heartbreaking material. Consisting of two separate segments, one told chronologically in black and white, the other told in full colour and reverse. 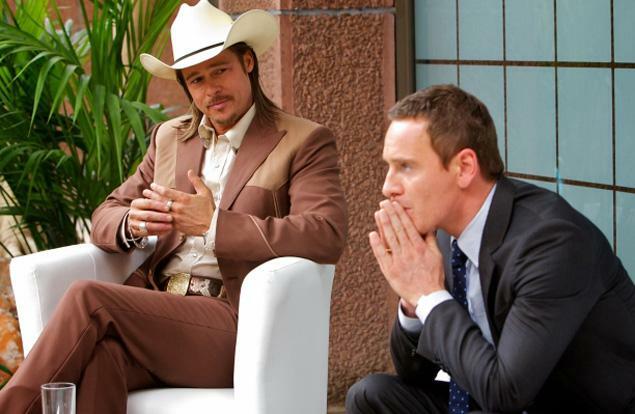 “Memento” has discouraged its fair share of viewers, but has astounded even more. Directed by filmmaking heavyweight Christopher Nolan and adapted from his brother Jonathan’s short story entitled “Memento Mori.” This is the Nolan’s first full-length feature together and roots their already exceedingly prosperous careers. “Memento” toys with its audience, tinkers with the mind and morals of each viewer. While everything may not be essentially what it seems. Ironically, this falsification is the films only truth and it is played out with the utmost effectiveness. Leonard Shelby (Pearce) has short term memory loss resulting from an injury he sustained attempting to prevent his wife from being murdered. He remembers everything up until the point of the injury, after that, all that he experiences remains only briefly in his mind afterwords. Before the incident, Leonard was an insurance claims investigator and consistently remembers an encounter with a man named Sammy Jankis. Leonard has tattoos all over his body to help him remember the facts about the perp who murdered his wife and escaped justice. Leonard has made it his life mission to find his wife’s killer and submit him to his own form of redemption. 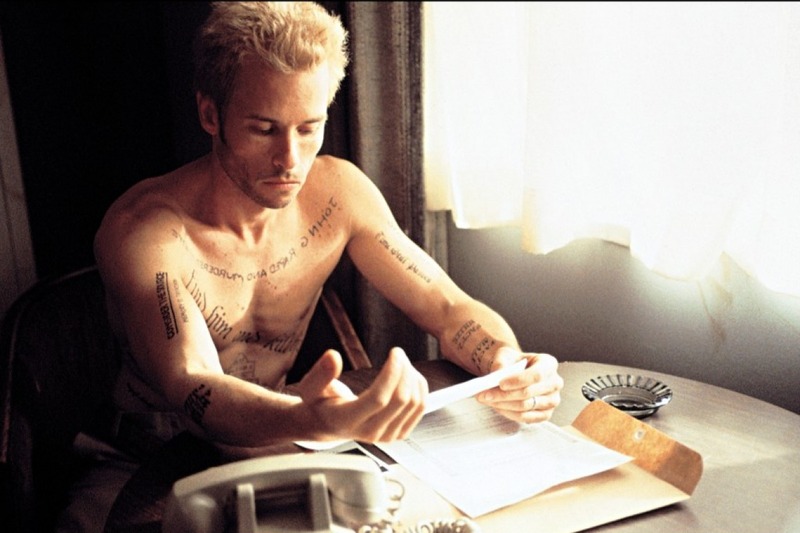 While “Memento” is a demanding psychological thriller that takes quite the toll mentally. What makes this mysterious Nolan tale a cut-above is its disheartening and emotional content that is equally as exhausting. Driven by loss, violence, and vengeance. “Memento” although primed by retribution, is fuelled with love and ignited by an honest rage, a deadly, yet sympathetic combination. Although all of this is a lot to absorb, process, and conclude. Nolan does an excellent job leading the audience through this intricate memory, making it as effortless and transient as possible. Like most of life, “Memento” is exquisite proof that everything isn’t always cut and dry. That being said, in this context, the circumstance is tiptoeing around the grey area. Regardless, this experience is unlike any other you’ve encountered watching a film. 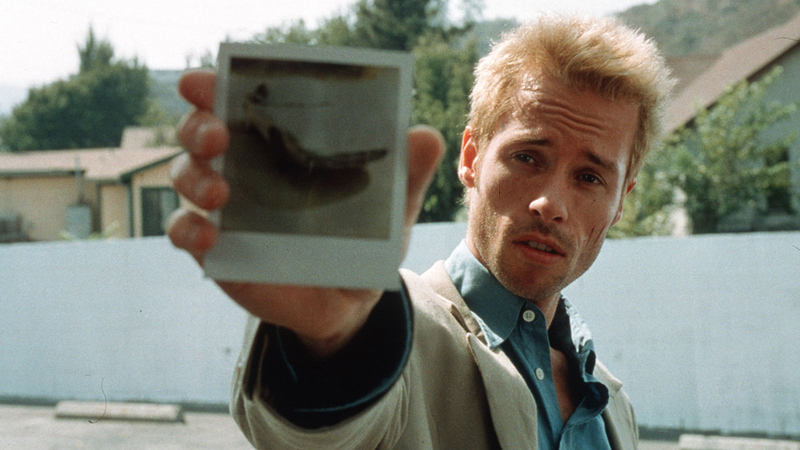 It is impossible to simply watch “Memento,” you either invest completely, or not at all. “Memento” and its execution is completely entrusted to Nolan. 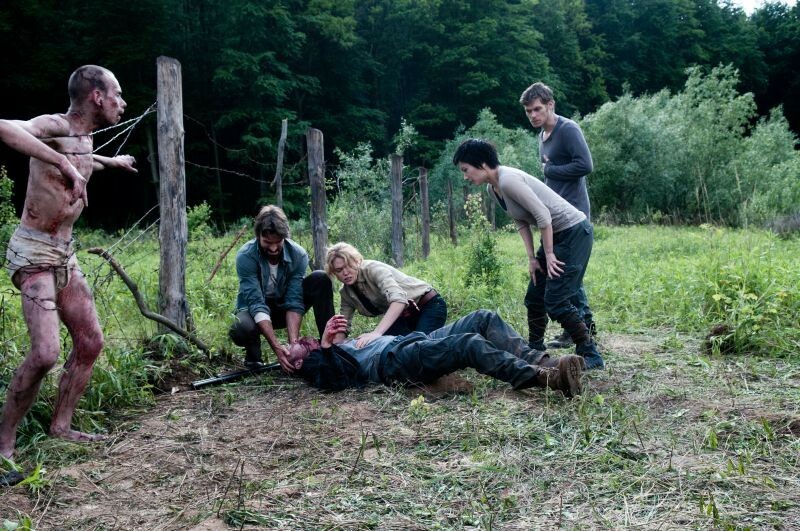 However, the cast is charged with as difficult a task, arguably even more so. Due to Leonard’s condition, from the get go the audience is full of skepticism towards each character and their motives. 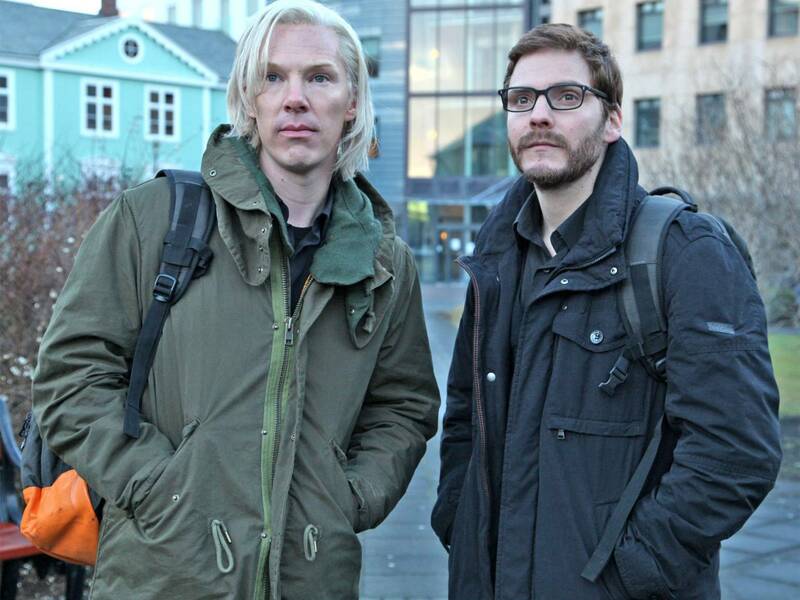 The ensemble’s job is to convince the viewer that they’re genuine. Not such an easy feat when they only have a few minutes to work with at any given time because of the way the film is structured. Nonetheless, “Memento” triumphs and a large part of that success derives from the cast, which features: Guy Pearce, Carie-Anne Moss, Joe Pantoliano. 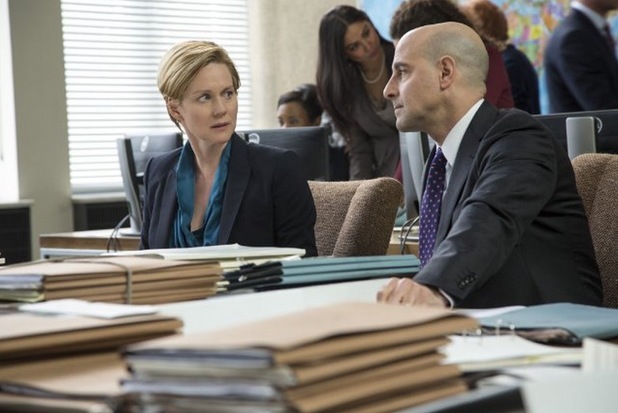 Carrie-Anne Moss and Joe Pantoliano give absolutely outstanding performances in support of Guy Pearce. Which really magnifies the fact that other than “Memento” and the “Matrix” trilogy, Moss and Pantoliano don’t garner enough screen time in high-profile features, which is a shame considering how effective they are. As for Guy Pearce, who I feel is also incredibly underrated, just not on the same scale as Moss and Pantoliano, really steals the show, as he should. Pearce does a terrific job highlighting the dark humour hidden amongst his character. In addition to fully entrancing the viewer with his melancholic, empathetic, and unstable tendencies. In summary, Memento is solid all the way through, on paper and both behind and in front of the camera. “Memento” is essentially the film that made me the cinephile I am today. It is one of my all-time favourites and I don’t think that will ever change. “Memento” is disturbing, heartfelt, and immensely hypnotic. 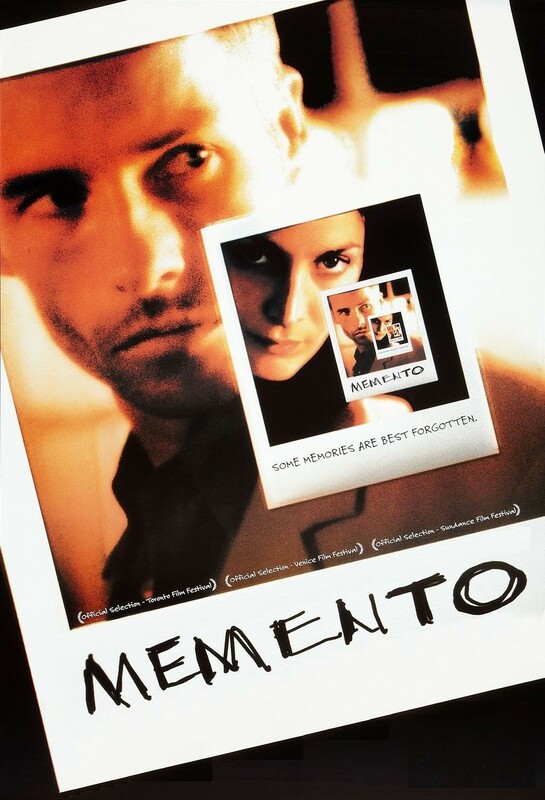 Directed with the utmost precision and acted immaculately, “Memento” is a must see. “Memento” 9.5 out of 10.